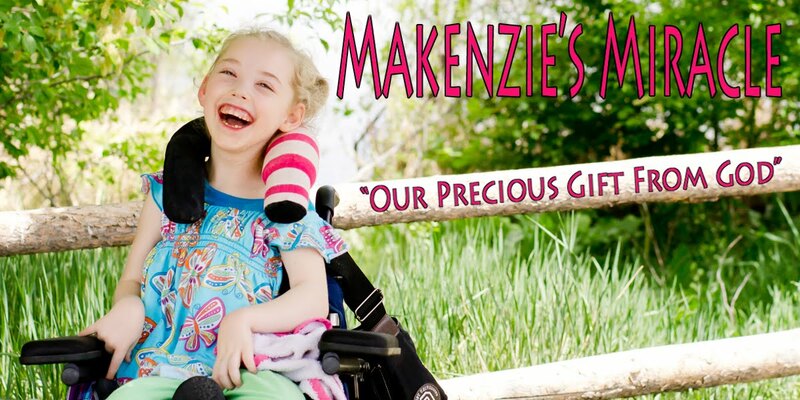 Makenzies Miracle: All is Well! I am completely exhausted but I wanted to thank you for all of your thoughts and prayers for today! Makenzie did great! It was a long haul for a 10 min procedure but that's life! They were able to put her under general anesthesia without a breathing tube or an iv so it was very quick! Makenzie was awake within about 5 min! She was sooooo cute! And for a bit loose loose loose!!! They told me to give her a kiss and then they would come and get me and I laughed and told them I couldn't leave because it would be a long time before I would see her that loose again! She was so relaxed! She was laughing and smiling right away, She seemed a bit uncomfortable here and there but other then that great! Until she puked right before bed! I called her pediatrician and he told me to run clear fluids tonight! I wish Children's could do a better job of discharge as I always seem to have questions after I leave! We will try running formula in the morning. If she vomits again I will have to take her in to check tube placement! Please pray that is not the problem and she will wake up ready and healthy so we can get on the plane on Friday!!! Thanks for everything! Keep praying!! !